V10.1, yet another STRUMIS release. Although it may be a new release, it’s not a new platform… For us at least. Why wait for new features when you can have them now? And not only have them but have comfort in the fact that you know they work. We have ensured that our software is fit for purpose by tirelessly developing them using our in house team while listening to our customers’ needs and working directly with them so they have the best software suited to their requirements. The Western Australian Government has issued a commitment to supporting steel related businesses in the State to become independently certified to the new Australian Standard covering structural steelwork. WA Commerce Minister, Michael Mischin announced on 2 December 2016 that the latest round of the Government’s Industry Facilitation and Support Program is being devoted to making funding available to support steel fabricators, galvanizers and finishers to meet new national requirements for the fabrication of structural steelwork. The new National Structural Steelwork Compliance Scheme (NSSCS) instigated by the ASI brings Australia into line with other advanced markets such as the US, Canada, the EU and UK which rely on established third party verified certification schemes to ensure steel fabrication is fit for purpose. ASI Chief Executive, Tony Dixon said the move demonstrated the WA Government understood the importance of public safety and compliance with quality standards, especially with the global steel glut flooding local markets and non-conforming building products now a major national issue. Companies hoping to take advantage of the funding will need to take rapid action as the AS/NZS 5131 funding round closes 31 January 2017. STRUMIS’ standard functionality will go a long way to assisting clients with the quality and traceability which are at the core of the certification requirements. What’s new in BIMReview 8.2! The Colour by Attribute legend now has check boxes added so you can toggle the visibility of items in the view allowing for greater visibility of the items you care about most. 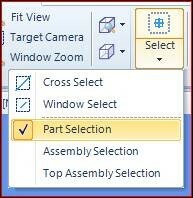 BIMReview can now toggle between selecting parts and assemblies, making it easier to pick the items you need. 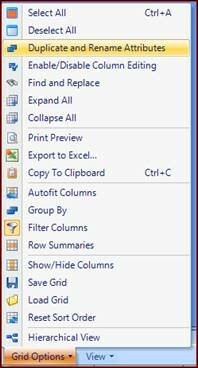 Available on the right click menu now is the ability to select items similar to the ones that you have selected based on configured attributes. 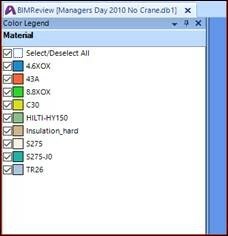 Users no longer have to deal with read only data in BIMReview, on the Model Data grid options the user can now make any attribute in BIMReview editable to allow modifications to their data before passing the model on. 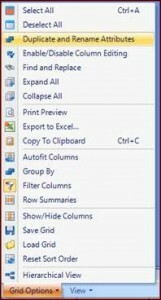 To complement making attributes editable in BIMReview the user can now duplicate and rename their attributes so they can copy have an editable copy of the source data. Users can now preserve their Model Data grid layouts with the added ability to save and load multiple grid layouts. Colour by Attribute templates have now had a complete overhaul and are no longer constrained to a single attribute to base the templates off of allowing for a greater level of flexibility. 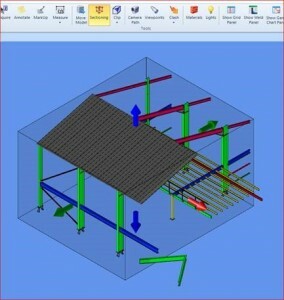 A major addition is that of the Sectioning tool which like the Clip tool allows for visible portion of the model to be trimmed down using a box rather than a series of planes or alternatively allow for small section of the model to be trimmed maintaining major of the model on screen. Finally other minor fixes and performance improvements to BIMReview and its accompanying plugins. The STRUMIS Middle East team will be showcasing their products at SteelFab in Sharjah, UAE, considered a “must visit show” by anyone engaged in the steel fabrication industry. SteelFab 2017 is in its 13th year and is the largest display of steel fabrication machinery and associated engineering products in the Middle East. SteelFab is considered a “must visit” by anyone engaged in the steel fabrication industry.